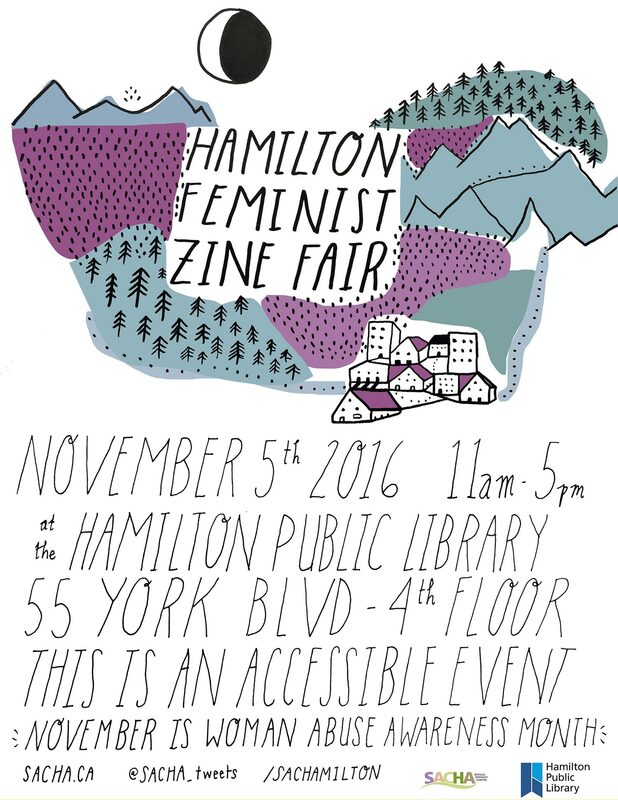 Justseeds/ Mary Tremonte will be at the Hamilton Feminist Zine Fair this weekend! I’m just wrapping up a new, more portable version of my For A Feminist Reconstruction of the Commons print to release in time for the fair! The Hamilton Feminist Zine Fair, organized by SACHA, celebrates and creates spaces for marginalized groups to have discussions about feminism through do-it-yourself publishing.